Computer technology is now pervasive in schools and businesses. Many schools and businesses require students and employees to be computer literate - able to interact with computers daily for work and pleasure. One of the biggest measurement challenges that you may confront as a professional in human performance is the assessment of physical fitness in children with physical or mental disabilities. The purpose of this chapter is not to convince people that performance-based assessments are the solution to the assessment dilemmas that teachers in kindergarten through grade 12 schools face. 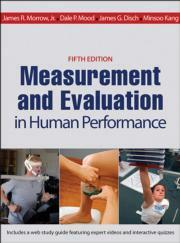 Undergraduate text for measurement and evaluation courses in exercise science, kinesiology, human performance, physical education, or health and fitness; also a reference for professionals in those fields.